Haha! Love the road trip. And love the part about the trash from McDonald's. why is it the only choice for fast food? Obviously the strange aura of Stonehenge was what was making you all slightly batty. True story. haha ... you are so funny! I've never played the tamburine in the car, I've never played tamburine!!! Horatio is a hedgehog. I think I should have had more coffee before posting this morning. You crazy bunch! looks like a great trip. Why did you have a tambourine?! And yes, that looks like a little hedgehog. He is very nice. Ahhhh England, I miss you! Anything to pass the time, eh.... And yes I think Horatio is a hedgehog. 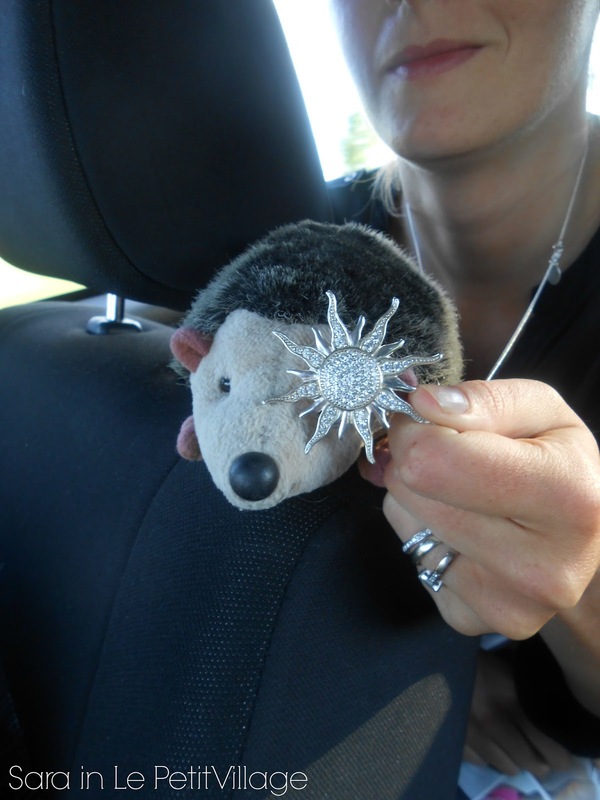 Horatio the Hedgehog has better alliteration than Horatio the Mole anyway. Hey Sara!! Just found your blog from a comment you left on Kisses and Croissants. Eager to start reading about you and your journey! I love the way you entertain yourself on a road trip! And I think I am in love with Horatio! 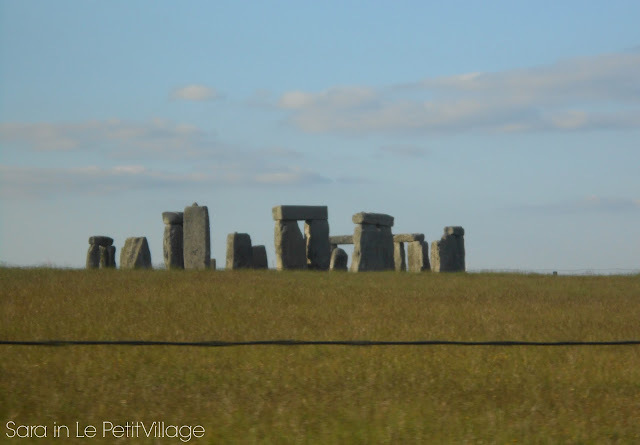 I want to see Stonehenge so badly! A road trip with you guys sounds like so much fun! L'il London? Devonshire or Hampshire or some shire thing? Helpful, I am. Most of my road trips consist of my son in the back seat playing on his iPod, my wife in the passenger seat sleeping, and me driving while trying to control my road rage. Your trip sounds more fun. Is that an American flag tank top on Mr. London's brother?!?! Ahahahaha. Genius. i'm back...my grudges are short lived. 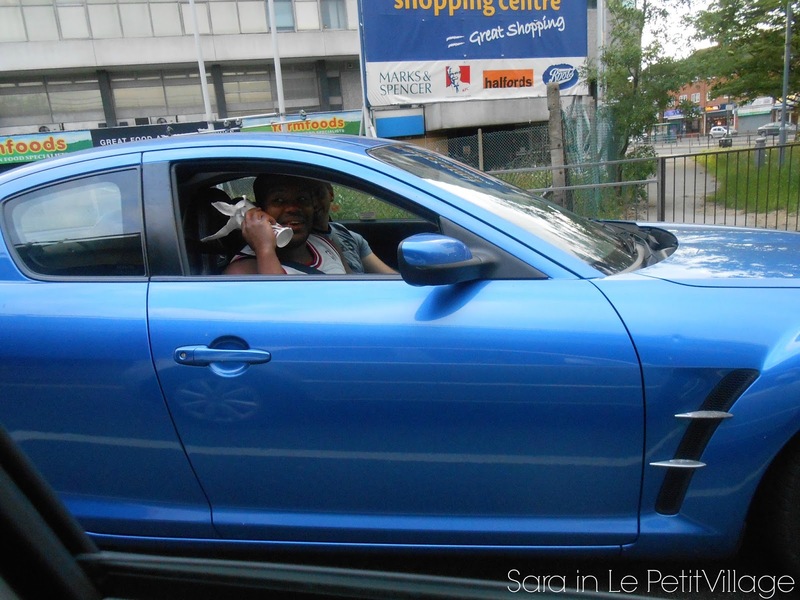 tamborines in the car? you guys are like so partridge family. and mr london's brothers tank top....yeah, go america!